This year’s Annual Conference centers around public-private partnerships and how they utilize innovative finance and project management techniques to stretch limited resources for infrastructure as well as how they help local governments find solutions for resiliency and natural resource preservation and management. 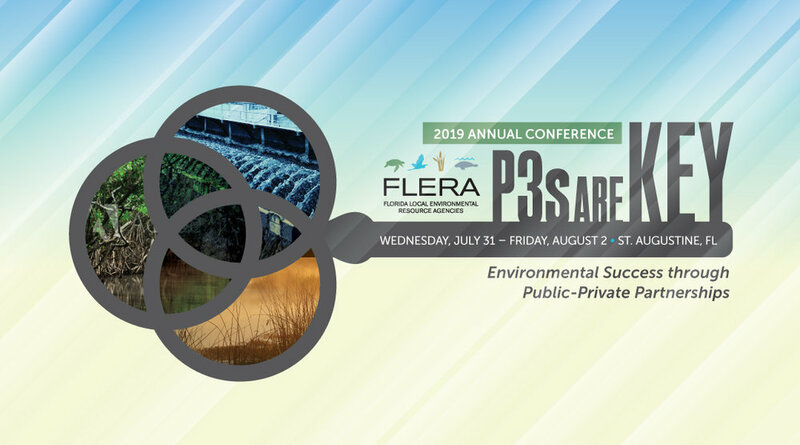 The 2019 FLERA Annual Conference will be held at the Embassy Suites St. Augustine Beach Oceanfront Resort in St. Johns County July 31 – August 2, 2019. We hope you will join us and share your experience and expertise with fellow resource managers from around the state of Florida. Visit our conference registration page today! If you are interested in sponsorship opportunities, please visit our sponsorship page or contact Valerie Rogers in the FLERA office at (850) 701-4797.
our 2019 conference sponsors welcome you!